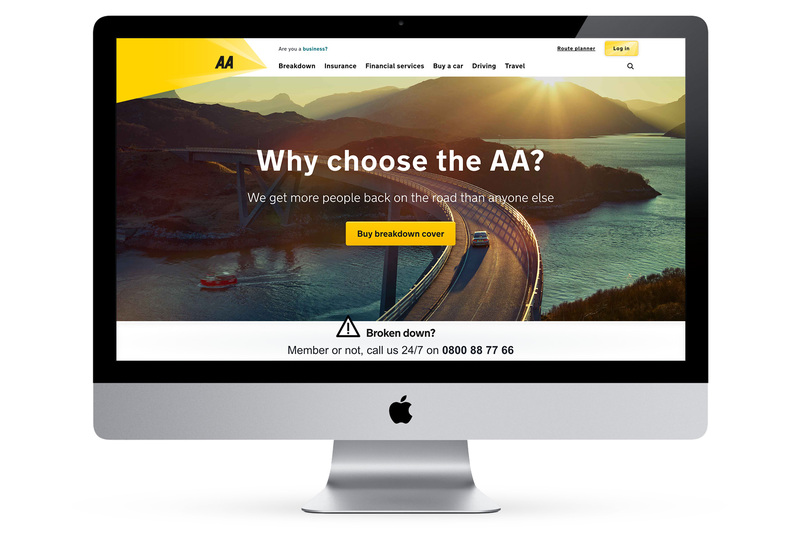 The AA is the UK’s largest motoring organisation with over 15 million customers. Breakdown cover is their number one priority, but they've since branched out into finance, insurance, leisure and lifestyle services. 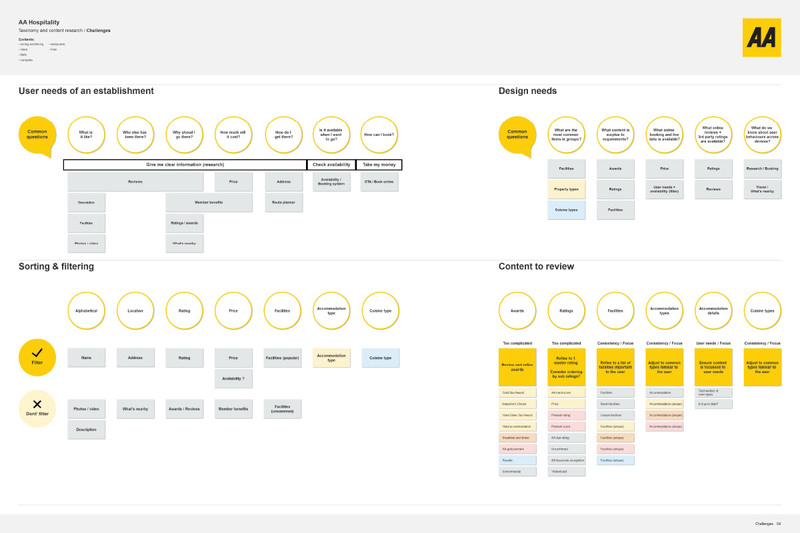 I was brought on board to work in a UX/UI design role to assist with the largest digital transformation project in over a decade at the AA. 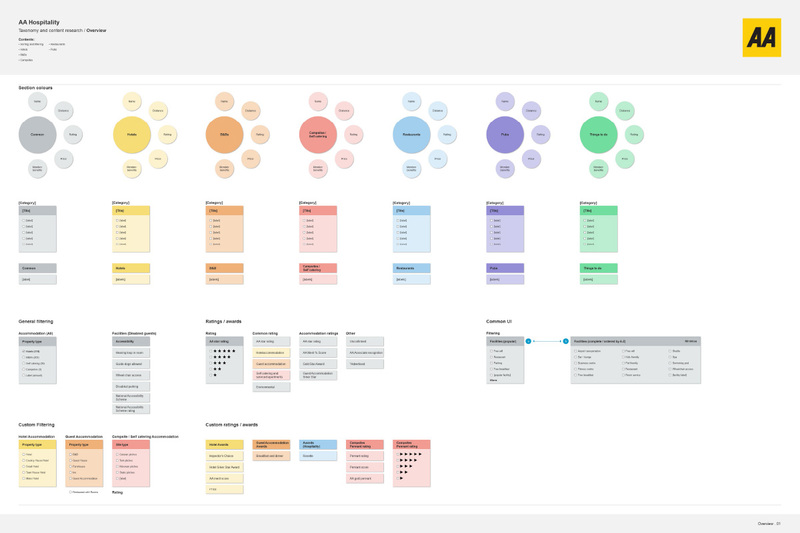 I worked on UX and UI projects for a wide range of products and services across the company. The initial project I worked on was to design a help me choose tool for UK breakdown cover. 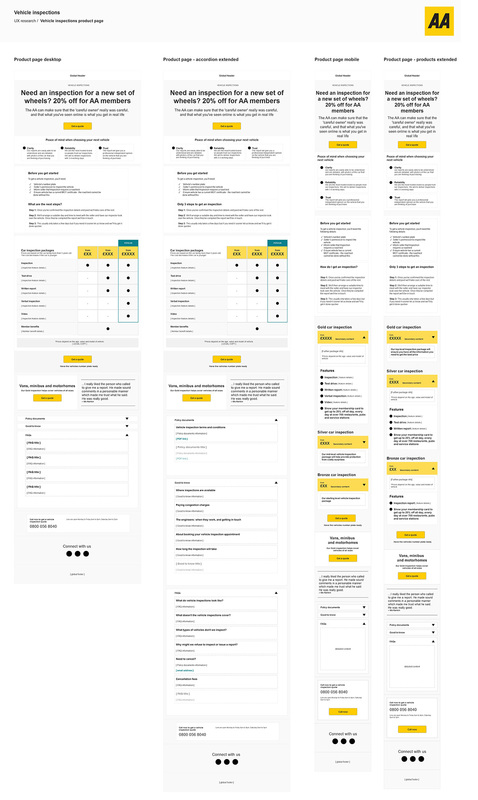 The brief was to design a journey to help users who were unsure about what breakdown cover they needed. It would help them find the breakdown cover that best suited their needs by answering a few simple questions. 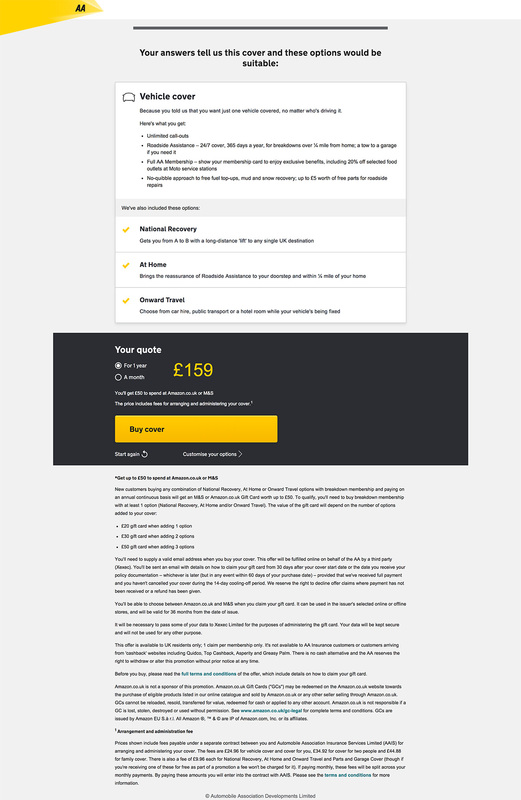 Working closely with a copywriter and stakeholders the aim was to provide an experience that used more natural language and avoided business jargon. Taking a mobile-first approach helped to ensure a minimal UI to allow a quick journey through the steps to the summary screen. 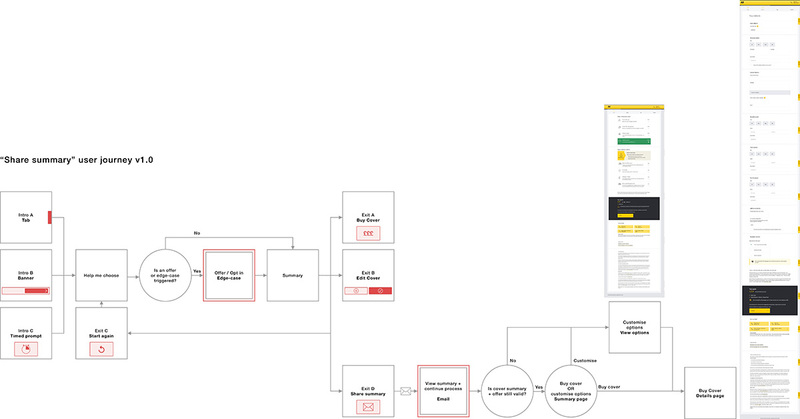 Due to the tight delivery deadlines I created interactive prototypes allowing me to perform gorilla testing to refine the experience along with stakeholder feedback before development began. The team followed a scrum methodology with daily WIPs and fortnightly reviews. I worked on the project from the initial UX and UI/visual design phase through to working with the developer on the responsive platform. 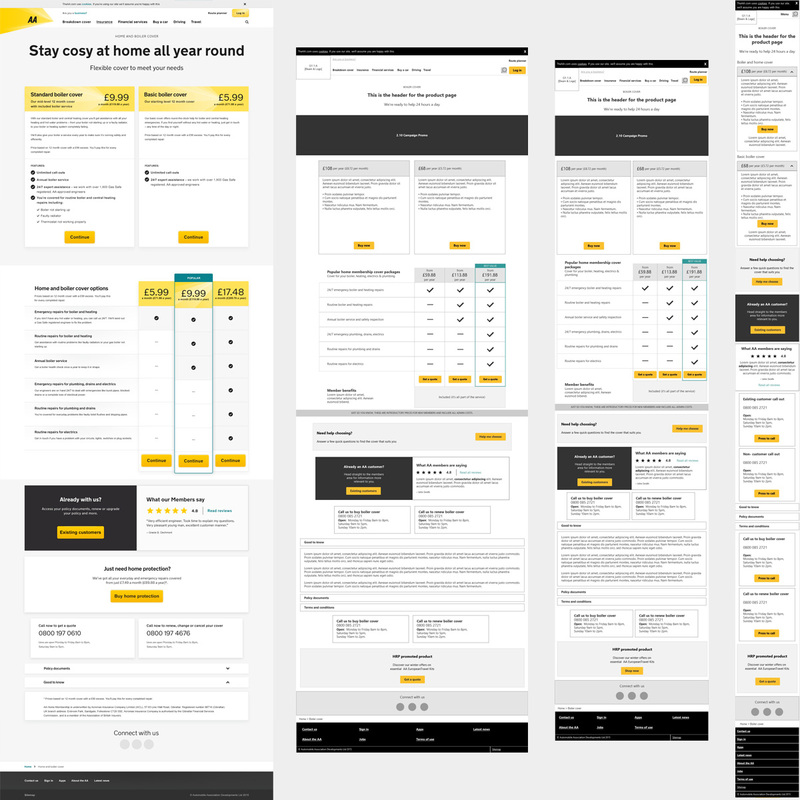 Once live we used analytics and A/B testing to further improve the ecommerce experience and validate updates to the tool. Working closely with a taxonomist my role was to document the existing hospitality content and categorise them into main groups eg. hotels, motels, restaurants. 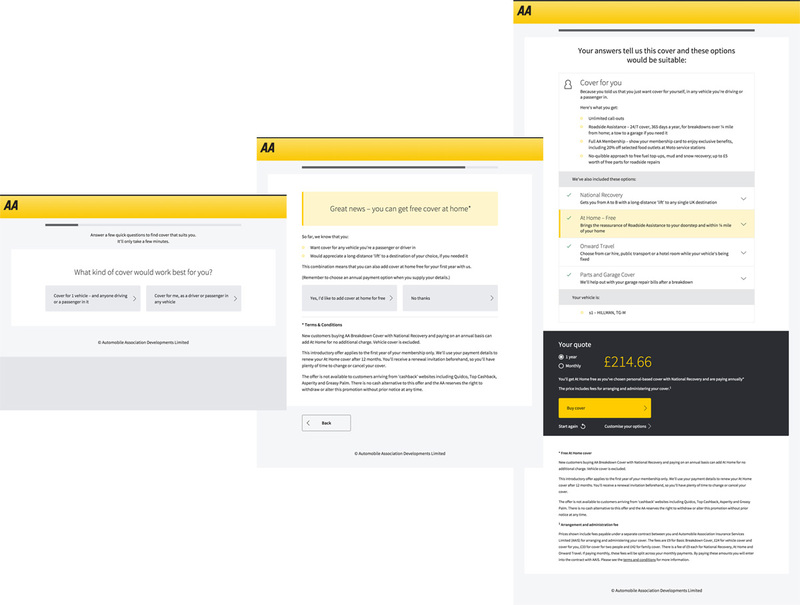 I created a discovery document that outlined the user needs before sorting and filtering the extensive range of content into accommodation and eating categories covered by the AA hospitality department. This allowed us to identify any patterns and differences among the many sections. This enabled the taxonomist to modernise the language and categories to more common and familiar terms.